Former Big Brother Naija housemate, Nina is currently not finding it funny, as popular cross-dresser, Bobrisky has joined his arch enemy, Tunde Ednut, an Instagram troll to drag her image to the mud. Ednut had attacked Nina for posing for shots with her car key. 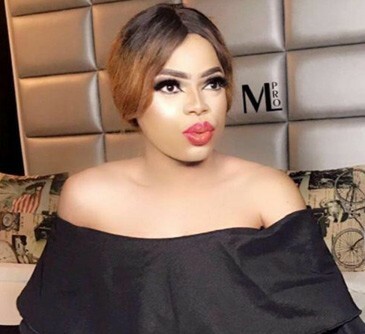 Bobrisky and Ednut are sworn arch enemies but this was a chance for Bob to give Nina a piece of his soul. In the picture, she was flaunting a car key while leaning against a bar stand. Tunde who has gained a reputation for being a king of clapbacks narrowed in on the key Nina was holding. He said the act of featuring the item while taking a snap was rather old-fashioned and out of vogue. “2018… Who still dey snap picture holding car key? SWAGGER. “Wait wait, don’t take the picture yet, Oyiiiiiiiiiin where is your bag, please give me your car key”. #OldenDays.” This trolling was blown out by fans who noticed that the car key Nina was flashing was likely not her own. The conclusion was reached due to the fact that the key holder was said to be known with Benz cars, and Nina obviously does not own a Mercedes Benz yet.